Apple Mobile Leasing offers a wide range of portable restroom options. 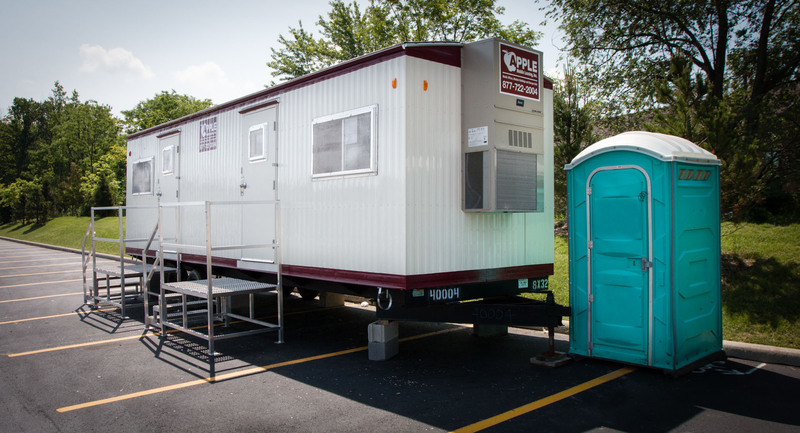 In addition to standard portable toilets, we also offer rooftop units, hand wash stations, and complete under trailer systems for mobile office trailers with restrooms! Visit our Portable Restrooms page for more information or contact us for a quote.